Forum Index > Off-topic Talk > Hungarian Gendarmes. Help! Posted: Mon 29 Mar, 2010 7:17 pm Post subject: Hungarian Gendarmes. Help! The title says all, I need to know everything there is to know about Hungarian Gendarmes, their history, rise, high point, decline, armament, tactics, gear, horses, ranks and organization, battles etc. And anything else relevant to the subject, this is urgent I need the info as quickly as possible, it needs to be detailed in depth and informative. I also need page and pargraph numbers, links images, etc. fact is, if you ask anyone here in austria, what a "gendarm" is, he will tell you a police-officer. and indeed, austrian law-enforcement was divided into police (paid by individual cities) and gendarmerie (guarding rural areas and descending from some wing of k.k army) until 2005.
probably it was quite similar in hungary, maybe due to our common history. however, from your reaction i guess, you wanted to hear about armoured gens `d armes of earlier times, but thats not mr. toth`s fault. It would be informative to have an idea of why all this information is needed, the need so urgent and the subject so specific. If you by "Gendarmes" mean traditional medieval-renaissance men-at-arms Ben , than check this http://www.hungarian-history.hu/lib/warso/ . Though it only covers Battle of Mohacs (1526) , which is also pretty much the last battle in which the bulk of Hungarian men-at-arms participated (the late "Banderia";majority of them were slain there by the Ottomans ), it contains some valuable bits of info + its in English . As a side note, Transylvanian( hung. Erdély) Men at arms must have existed a couple of years later after 1526 , since Zapolya didn't arrive with his cavalry. 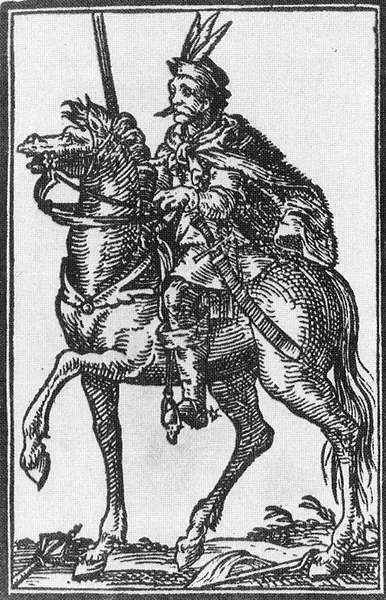 One way or the other the remaining cavalrymen transformed into heavy hussars, that were later brought into Poland by Stefan Bathory (Transylvanians ended up as semi-vassals to the Porte;the heavier hussars used a breed of western-eastern horse, short Turkish style stirrups , but retained the high knightly saddle). Verzeih ihm , denn er ist nur ein Amerikaner. First, please limit your posts to the English language, per our rules. Nope Chad you translated it correctly. Sir, I did nothing to elict your racist and insulting comment and I would thank you to refrain from that, and you should also be aware that the mods come down on people who continue with that sort of behavior like the fist of God. We need no help doing our job. Leave this to us. My apologies sir, it was never my intention to do your job for you. First of all I would like to apologize to everyone for starting this whole mess. Mr Toth, thanks very much for your reply. I’m sorry, I should have been more clear. What I’m really after is information on 16th century Hungarian men-at-arms. I believe that Boris has written in a language not his. I think he meant: that is unknown to American culture. Often, it may happen that non-native language speaking, there may be misunderstandings. Now, I use this expression too. I do not think the term American can have a racist meaning, at least it's far from my culture. okay the need to apologise clearly falls on my shoulders, what i meant was: that the term itself, Gendarmerie, or Zhandari, is a well known one throughout whole of europe today. it is often synonimous with militias, police and sometimes with political brutality, but from an english viewpoint i guess it means simply french policeman to them, and from american maybe not event that but firstly calls up to mind a "romanticized" picture of a medieval cuirassier. "(and "hahaa" surely meant triumphant) "
I'll post some pics from the "The army of the Transylwanian Principality"
(Az Erdélyi fejedelemség hadserege) on next weekend. Samuel, I'll continue the other thread too. so GENDARMES would mean people under arms or armed people basically also meaning in armour in the original definition. GENDARMES could also be considered the equivalent of MEN-AT-ARMS in ENGLISH with the same period meaning of heavily armoured cavalry/knights. Literal translations by translation programs can be useful but often mistranslate the intent in cultural usage from one language to the next: I hope that anyone who has taken offence here has already realized that no offence was meant by anyone. I'm. . . Feeling pretty moronic right. I really can't tell you guys how sorry I am. Unfortunately they were dishonored, stigmatized, and the ones who hadn't left abroad, were mostly imprisoned or executed during the socialism period, and this point of view sadly still lives in many people. The Gendarmes's primary meaning recently is the half-militarized rural, police-like organization. They were dismissed after the second wrold war, becouse they aided in the deportation of the Israelite inhabitants of the country. Before the end of the second world war they were known becouse of their strictness, their precision. Every Gendarme (If I wrote it correctly) had his own territory. They had a meeting time and point with the neighbour one, where they exchanged information, discussed what they found to be important. There are lot of stories about them, (and about their failures) but I don't think so that these old tales would be appropriate here. The topic of the gendarmes sometimes still divides the Hungarians. That's all, what I can tell about them, I mainly heard this from my parents and grandparents. But as I saw you are rather interested in the fighting units of Hungary in the XVI. st century! If so, please, tell us a bit more about the special units that you are interested in! These people originally were stockmen, looking after neat. (Cows, etc. I hope this was the word for it!) After the great geographical discoveries, Western-European countries started to upgrade their industry, meanwhile Hungary tried to make money of agriculture. We have hearded animals, and neat was the main export good of the kingdom during the Turkish stay. These animals represented high value, so thus these ,,cowboys" gained right to use weapons for the protection of the herd and themselves. These stockmen, experienced in fighting were welcome in the war against the Turkish raiding and staying forces, during the 150 years of the ocuppation. On the end of the XVI.st century, there were two types of hajdú-s. The royal hajdú, who received 2 forints per month, and served in the végvár-s (castles and fortifications wich were built for the defence of our borders) and the free hajdú-s, were given their own land to live on (and some further special rights, similar to the nobility's) on the very beginning od the XVII.nd century, by István Bocskay. Please forgive me, for the mistakes I made! hehe, that`s the problem with translating literally, its a special problem if translating from german to english, because these languages are so similar. its very easy to start learning english for pupils here, sometimes its even enough to pronounce a sentence "english-like", example "this is my book - dies ist mein buch". trouble start when you`re getting more advanced and try to tell complicated matters. its very hard to speak good english for native german-speakers, cause we are always seduced to literall translation by the phonetic resemblance. ah yes, i remember, the unforgettable Luis de Funes being gendarm of saint tropez. and according to one episode, where he has to undergo an exam, french modern gendarms also have this bipolar role between law enforcement and national defense.